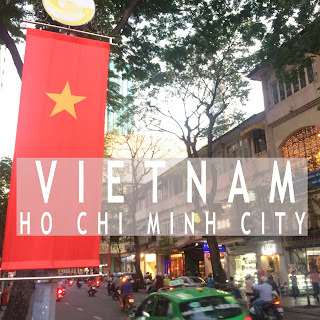 Best Time to go to this trip? 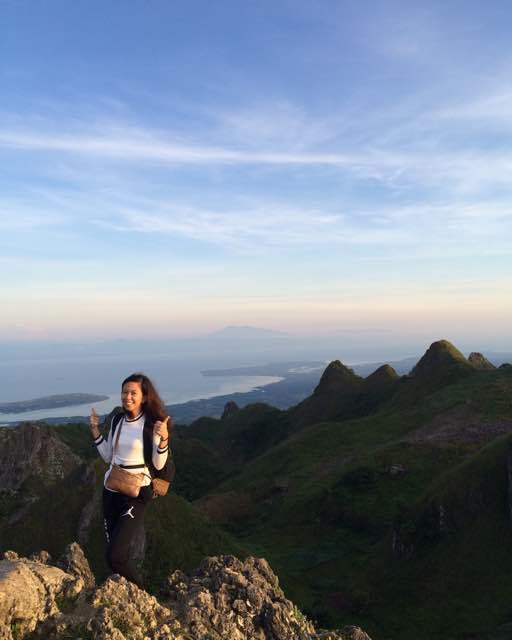 If you want to catch the sunrise at Osmeña Peak, travel at midnight, as well as, to avoid traffic and the crowd of passengers. 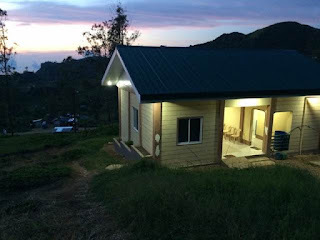 Better visit this place on a regular day so that there are less people who will climb and go home to the south of Cebu. 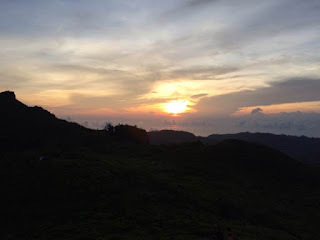 The weather should be fine to appreciate the beauty on top of the mountain. Also, you can prevent yourself from accidents when traveling and climbing it. January to 1st week of March is a bit cold. 2nd week of March to May is a warm due to its hottest season. June to August is expected to have rain showers and/or thunderstorm. Less chance to enjoy the travel. September to December is still having rain showers but has more chance to have sunshine than than the previous months. How to get to Osmeña Peak? 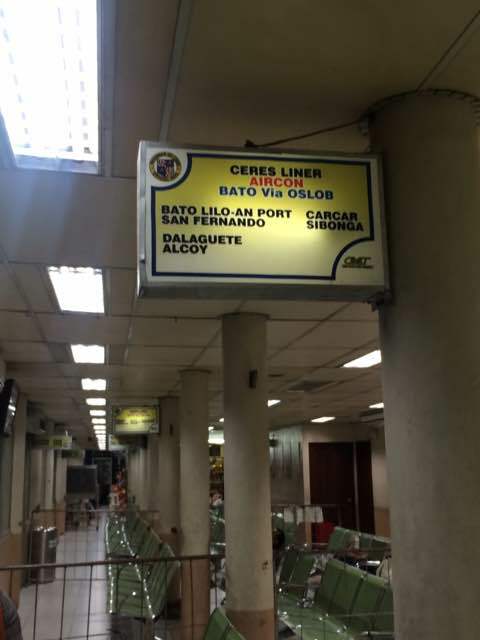 If you are in Cebu City, go to Cebu South Bus Terminal. Just take a cab if you are from Manila or not a native of Cebu. We started traveling at 12:20am on a Saturday midnight. This is a good time to start travelling as traffic jam is no longer experienced and you still have the energy to wait for the bus and sleep in the bus while riding. We arrived at the terminal at 12:30 am. 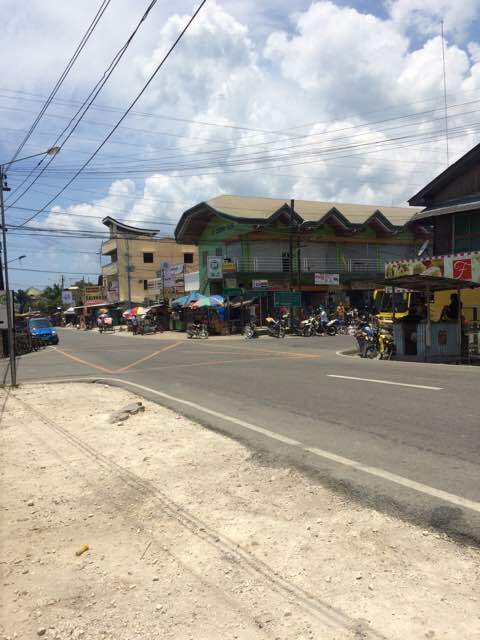 Expect that there will be a queue of people going to the south of Cebu especially during the holidays and weekends. Take the bus going to Dalaguete and Alcoy. The bus that I, together with my friend, rode was Ceres Liner. Then, we waited for the bus and rode it at around 1am. P105 was the fare for air-conditioned bus. Note: You will feel sleepy. So, advise the bus conductor (bus driver's assistant) that you will alight in 7 11 convenient store at the corner of Dalaguete-Mantalongon Badian Rd which is the area where you can ride a habal-habal (motorcycle) going to the start point of Osmeña Peak. At 3:27am, we arrived in 7 11 store where we were awakened by the bus conductor telling us that it was the drop-off place. We just ate a hot instant noodles and waited for the time to be 4:30am. After that, we rode the habal-habal which we paid P100/head going to the start point of Osmeña Peak. A 30-minute ride looking at the mountains while inhaling the fresh cold air. That was priceless. The habal-habal driver will wait for you after you descended from the mountain to get you back to the town proper. You need to pay an additional P100/head to return. 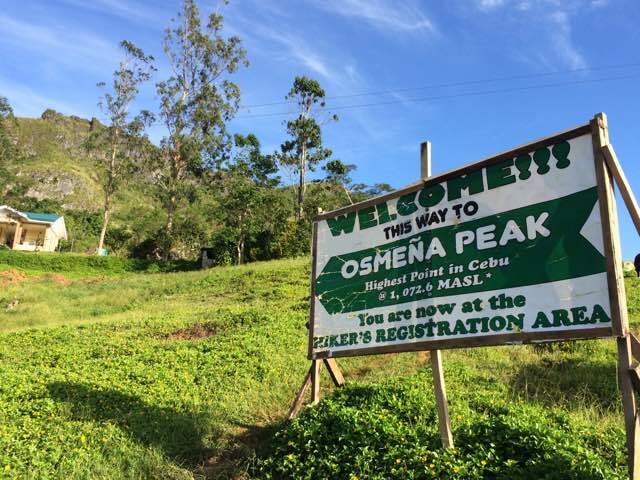 What will you expect in Osmeña Peak? You need to register at the booth which looks like a small house for only P30 for adults. For students, it is only P20. The climbing time is only for 20 minutes. You do not need a guide as there is a trail that you can follow easily. The weather was fine that time, 5:16am on September 3, 2016. It was a bit chilly. But a casual sports wear is enough. Try scuba diving after climbing in Mactan, Cebu as the starting time to be picked up by Rock Dive shop is at 9am. 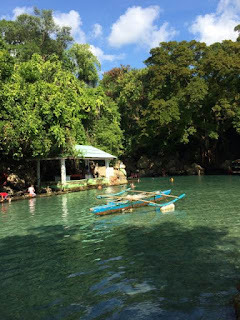 Another place to visit after descending from the peak is Obong Spring. It is located in Barangay Obong in Dalaguete, Cebu. The habal-habal driver said that we can just pay an additional fee of P50 to be directly transported there. It was nice to take a dip after a climb. 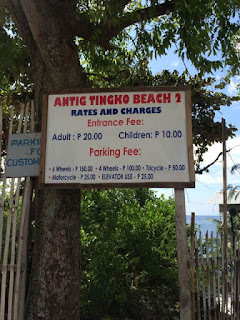 The fee is very cheap which is P5.00. Best time to go there is during high tide because the spring is connected to the sea. Spring is not enough. So, we were looking for another place. 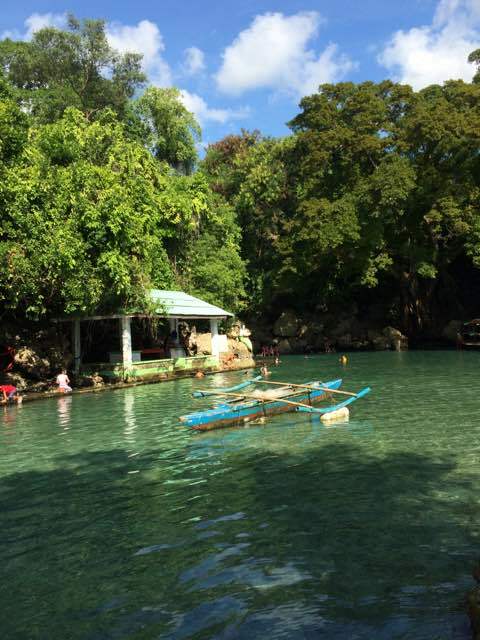 The commuters we were together recommended us to go to Alcoy which is only a 10-minute ride. Alcoy is the next town after Dalaguete of Cebu. It has a white-sand beach and emerald-colored seawater. 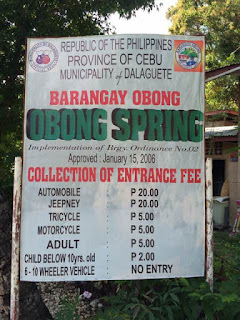 Tricycle fee was only P15/head from the bus stop of the entrance street to Obong Spring. The entrance fee was only P20. You can either rent a table or just sit on the beach. 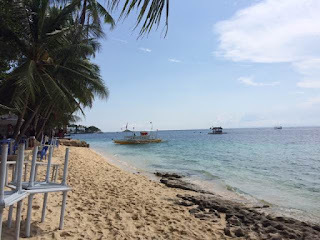 How to get to Alcoy Beach? Ride the bus with Dalaguete and Alcoy signboard at Cebu South Bus Terminal. Tell the driver that you are going to alight in Alcoy. It takes 1 hour if traveling at midnight while 2-3 hours on a regular day. Ride the motorcycle or habal-habal in going back to the Dalaguete main road. From 7 11 of Dalaguete-Mantalongon Badian Rd, ride a tricycle and tell the driver to head to Alcoy beach. 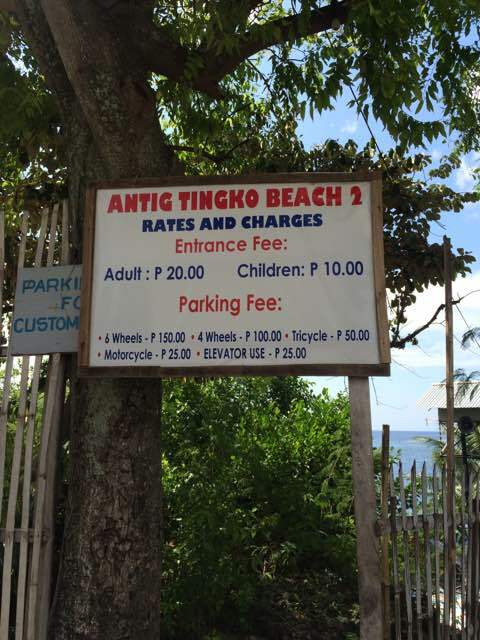 Just pay P20 and ask the tricycle driver the different beach resorts that you can choose from along the road. Maria's Batchoy and Restaurant is a 24-hour operated dining place. There is a variety of Filipino food to choose from. Their specialty is the batchoy which we ordered at a price of P83. This is the special one. My rating for this is fair enough based from batchoy houses that I have tasted and also the price is too much with the taste and ingredients. However, if you want to use the toilet, this is the only place around the area in the wee-hours. But you need to pay for P5 if you are not going to eat in their restaurant. 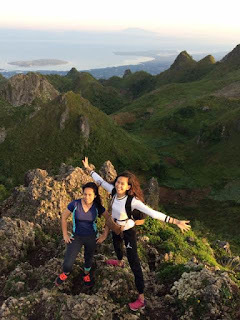 In summary, the experience of climbing the highest point in Cebu before the sunrise was magnificent! And it was also a feeling of "I want to explore more of the places near here" made us discover the jewel of Dalaguete and Alcoy in a day. Share this post if it helps! READY yourself, SET yourself to any possibilities, GO to places that you want to go and SHARE your experiences.